In September, Katy Collin, SIS/PhD ’16, began a year-long position as a Foreign Policy Research Fellow at Brookings Institute. 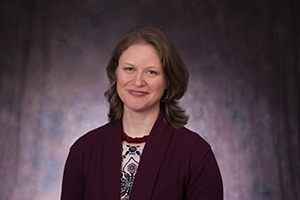 Collin will use the competitive post-doctoral fellowship to actively pursue research she began at the School of International Service on the use of referendums in peace processes. Her research has taken her to East Timor, South Sudan, and Cyprus, but she cites the peace process in Colombia as a current referendum that’s made headlines. There, a referendum was held to enact a peace deal between the Colombian government and Armed Forces of Colombia–People's Army (FARC) that would end decades of violent conflict in the country. However, voters narrowly rejected the peace deal via referendum. “Because the voters rejected it, you had the risk that the whole process was going to freeze or fail, but instead, you saw the negotiators return immediately to the table to try to address some of the concerns that came up during the campaign. The referendum process fed information back into the formation of the peace agreement,” explains Collin. In Colombia’s case, a revised peace deal was negotiated by the government and FARC, which was later ratified by Congress rather than voted on through a second referendum. Collin points out that while a referendum can add security risks, it does provide a greater foundation for implementing a peace deal than a drawn-out process involving legislature can provide. The latter of which “potentially makes the peace process vulnerable moving in the future and in subsequent elections, where the peace agreement is piece by piece,” she says. Collin originally entered this field while contracted by the UN to administer post-conflict elections in countries including Kosovo, Pakistan, and Afghanistan. What struck her was the democratic nature of referendums in these countries. “It’s something that is used as a mechanism in all kinds of regimes, and non-Western uses of direct democracy are not sufficiently represented in literature, so I think there’s a wealth of research to be done on that,” she says. At Brookings Institute, Collin will be responsible for researching referendums further and publishing policy perspectives on the topic. In this new role, she is hoping also to expand her research and examine the relationship between democratic referendums and the rise of authoritarian populism—specifically, whether referendums in general have enabled populist leaders and populist parties to come to power, enacted populist policy agendas, or rolled back institutions of democracy. “I think that focusing on deliberative democracy, the way that voters make decisions when they’re asked to make decisions through direct democracy, could really inform the way that we understand this global wave of populism.” she says.